Calling all Ragnarok fans, players and enthusiasts. This November 24 at SM North EDSA Skydome be part of RAGNAFEST 2018. It will be a full day of Ragnarok activities! Cheer for your teams as they compete in the Ragnarok Philippine Championships. 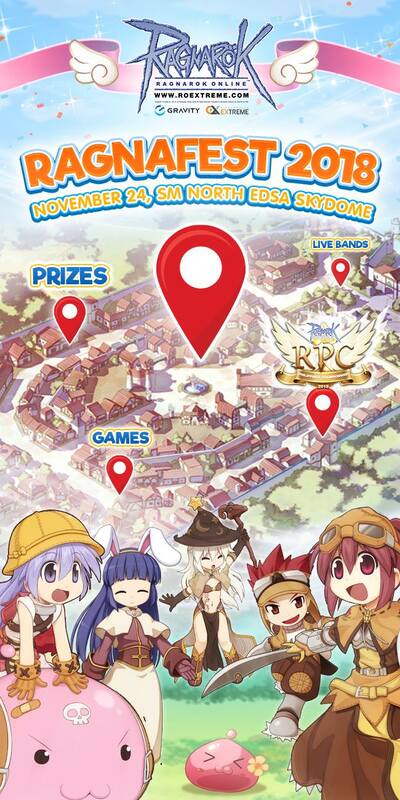 You can also watch the cosplay competition, and listen to bands perform live on stage. I am hoping that we can also join the event and interview gamers, fans and cosplayers. So, see you there!